Adam L. Truitt – Financial Designs Ltd.
Adam L. Truitt joined Financial Designs Ltd. (FDL) in 2004. He was named the President of the company in 2017. In his role as President he will focus on the strategic and long-term growth for FDL helping to continue its legacy of over 45 years. 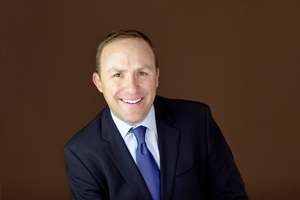 He manages new client development and serves as an advisor to high net worth families and business owners. His emphasis is on creating customized estate and life insurance solutions to meet their business and charitable goals. Prior to joining FDL, he practiced with a certified public accounting firm working with businesses in the manufacturing, franchising, distribution, and technology industries. Adam has a BS in business administration from the University of Colorado and is a member of the Colorado Society of CPAs and the American Institute of CPAs. He also holds the Certified Financial Planner (CFP®), Chartered Financial Consultant (ChFC®) and Chartered Life Underwriter (CLU®) designations. He is past President of the Rocky Mountain Estate Planning Council and the Denver Estate Planning Council. Adam is active in the community serving on several boards, including ACE Scholarships Board of Advisors and The Children’s Hospital Legacy Planning Advisory Council. Adam and his wife, Katy, and their three children live in Greenwood Village, Colorado. He enjoys time with his family and is also an avid golfer and skier.